protein thought to cause the degeneration of neurones that leads to Parkinson's. New treatments for Parkinson’s disease could be developed from a molecule found in a medicine used to treat tapeworm infections, a study suggests. Researchers at Cardiff University and the University of Dundee found the drug niclosamide is an effective activator of the PINK1 protein found in the human body. 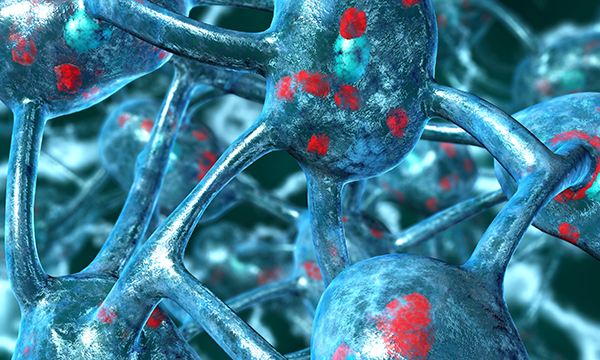 The malfunction of this protein is generally seen as one of the leading causes of Parkinson's disease, a long-term degenerative disorder of the central nervous system. people has Parkinson's disease – about 127,000 people in the UK. Most are 50 or over but younger people can get it too. Several previous studies have suggested that discovering a drug capable of enhancing the function of PINK1 could be a significant step in halting neurodegeneration, and thus slow or even treat Parkinson’s disease. The latest study, funded by the Wellcome Trust, found niclosamide and some of its derivatives could enhance PINK1 performance within cells and neurons. Co-author Youcef Mehellou said: ‘This work represents the first report of a clinically used drug to activate PINK1 and may hold promise in treating Parkinson’s disease.